In late September 2017 fifteen Tasmanian sparkling wine producers were teamed together by Tyson Stelzer to present the largest range of Method Traditional wines ever presented to an export market. Some notable Champagnes were present, including Krug 2002, to provide benchmarks. A wide range of New York wine media and trade turned out to taste the wines with some Tasmanian food delicacies and to hear the latest from Tasmania. Here in this shot , Andrew Pirie chats to Wine Advocate's Joe Czerwinski about Tasmanian sparkling and the lastest wine terroir theory. 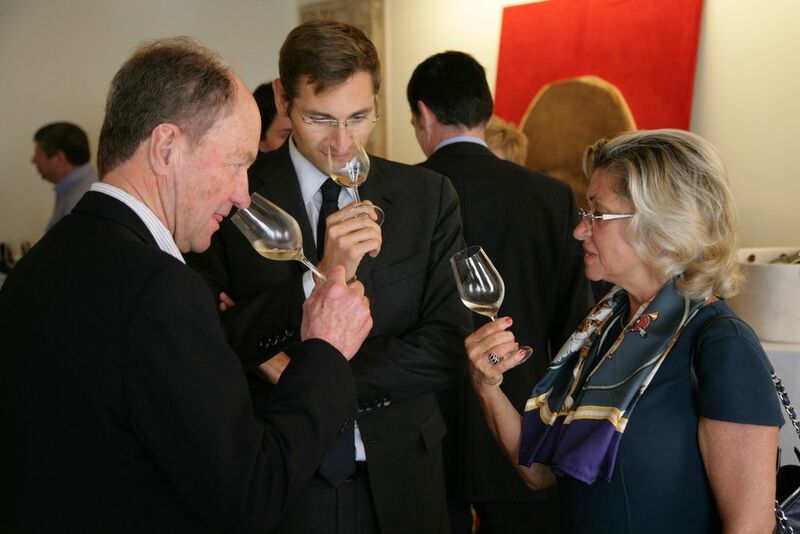 Madame Carol Duval-Leroy from Champagne admired the 2014 Apogee Deluxe Vintage Rose and 2013 Deluxe Vintage Brut. She turned to her son and said " Tu devrais avoir du peur des ces vins" ( transl. you ought to be afraid of these wines!) 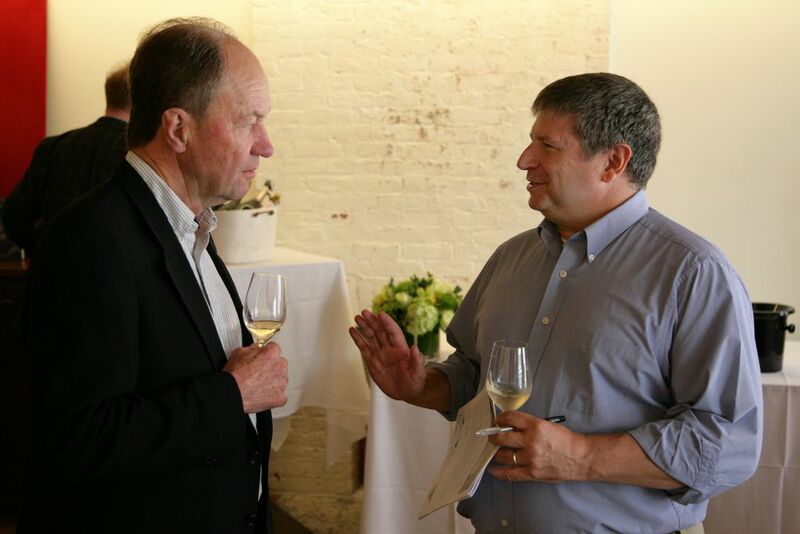 , great praise indeed from one of the doyennes of Champagne who was in New York to relaunch their very good 2006 Duval Leroy Vintage as Amour de Champagne 2006.